I was the textbook definition of a science geek growing up as a kid. As an adult, I now find it funny to reflect on the subjects we studied in school and how some of those nuggets of wisdom transform into lifelong hobbies. On the everyday the majority of us read (that fave blog of yours), do math (adding up those paycheques), hit the gym (keeping up on your fitness), have conversations about art (chatting about the latest craze in television, film, or music), and relive the most fascinating moment from our history class when traveling to ancient tombs and temples in Egypt. But unless you have a profession in the STEM field it’s unlikely that physics or chemistry is popping up in your daily dialogue. How Science Works (DK Publishing, 2018) is a perfect book for adults looking to reintroduce themselves to the fascinating facts they learned in school. 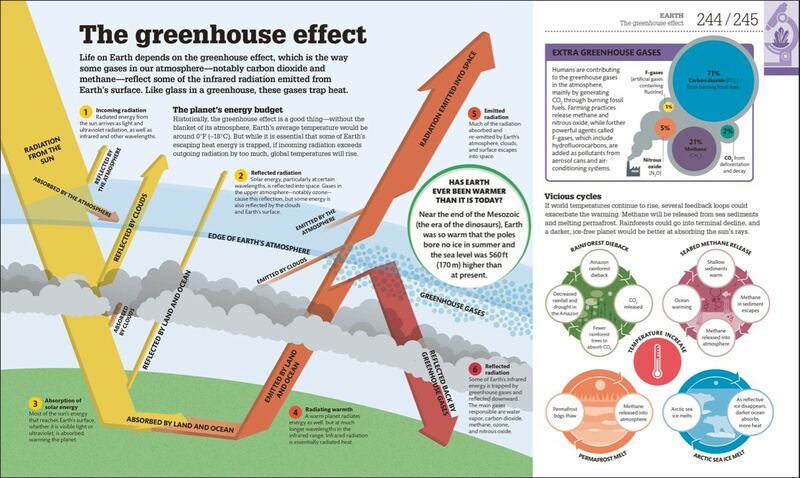 How Science Works uses clear, easy-to-understand graphics to answer common questions and explain difficult concepts – not only the core science topics that inspired us at school, but also the cutting-edge science we see reported in the news. Have you ever wondered how airplanes stay in the air, how holograms are made, or how ants lift things many times their size? You’ll find answers to these enigmas as well as learn about more complex developments, including the discovery of the Higgs boson, gravitational waves, and the mysteries of dark matter. There’s no better place for grown up science enthusiasts to embrace their curiosities than a visit to Toronto’s Ontario Science Centre. I visited the museum several times as a kid and on a recent trip was excited to see how the museum had evolved over the years. 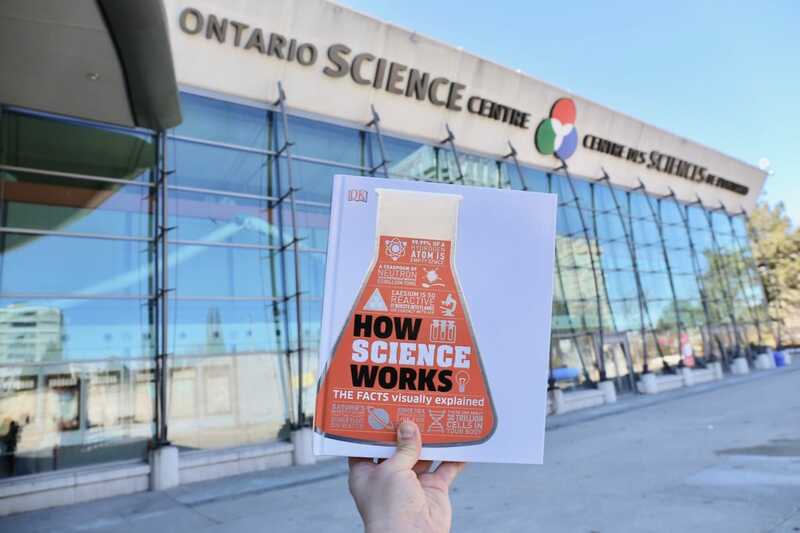 It was my first time exploring the Ontario Science Centre as an adult so I brought along a copy of How Science Works so I could dig deeper into the attractions and special exhibits that fascinated me most. How Science Works is divided into five chapters (Matter, Energy and Forces, Life, Space and Earth) so I was determined to uncover an inspiring experience for each while skipping through the Ontario Science Centre. MATTER covers “anything that takes up space and has mass,” offering fun facts on the various states of matter, what’s inside an atom, particle accelerators, radioactivity, reactions, explosions, and plastics. 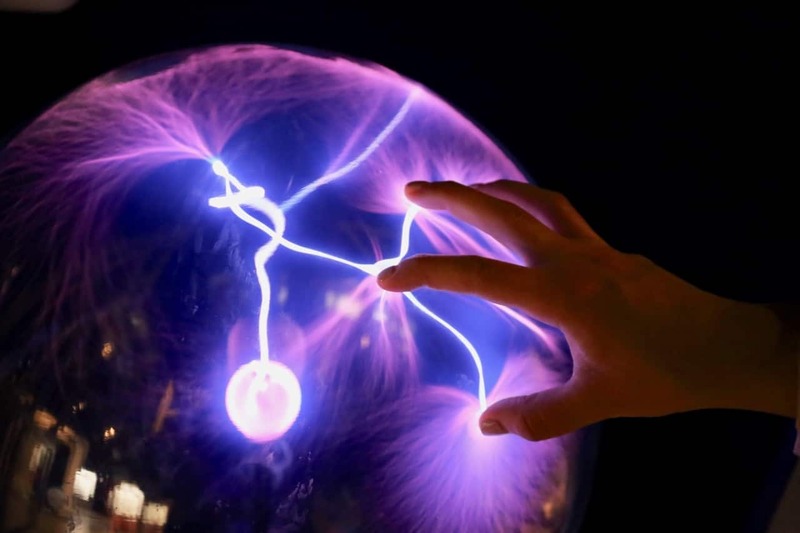 Pictured here is the Ontario Science Centre’s mesmerizing Plasma Ball, an interactive exhibit that showcases the “fourth state of matter,” an excited gas. Place your fingers anywhere on the ball and enthusiastic strands of electricity follow your every move. The study of ENERGY AND FORCES allows physicists to understand the universe in terms of matter and energy in space and time. In this chapter readers dive into the various forms of energy, from simple static shock to the everyday electrical that powers our homes. 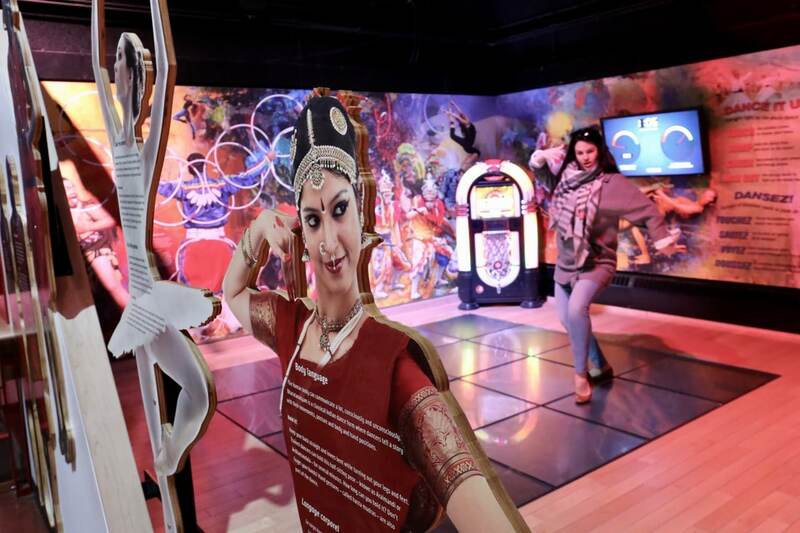 One corner of the Ontario Science Centre offers music fans an opportunity to watch their dance steps (kinetic: energy in motion) transform into energy output that lights up the dance floor. LIFE covers everything that lives on planet Earth, from petite protista to massive mammoths. 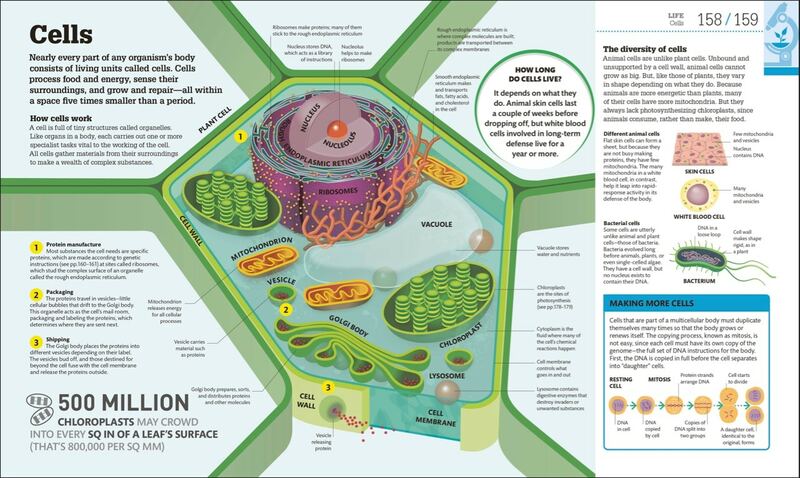 Biology was always my favourite science speciality so it was nice to get a refresher on the inner-workings of a cell, how genes work, reproduction, photosynthesis, respiration, genetic engineering, and cloning. 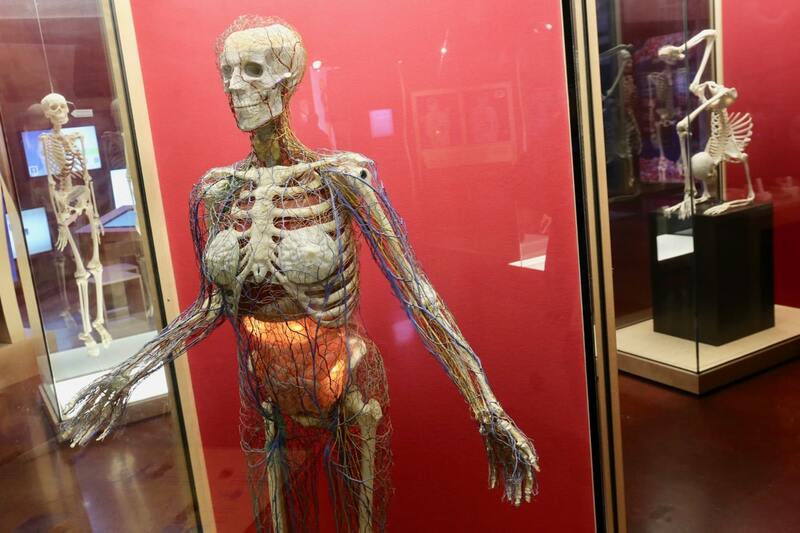 The Science Centre is full of fabulous exhibits that showcase the diversity of life but my favourite was “System of Systems” where those who marvel at all things medical can press a button labeled by various organs in the body and watch them light up on a translucent mannequin right before their eyes. The study of SPACE is truly mesmerizing as NASA scientists continue to develop new technologies to explore planets, solar systems, and stars light years away. In this chapter readers can flip through fun facts on the sun, black holes, the Big Bang Theory, spaceflight, and the challenges of living in space. 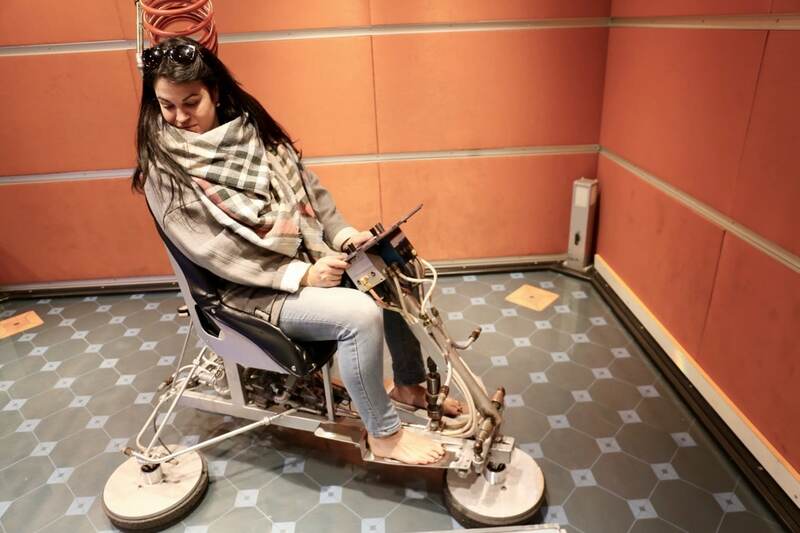 The Ontario Science Centre has a great space dedicated to all things otherworldly including a planetarium and an awesome Rocket Chair used by astronauts which utilizes compressed gas (nitrogen instead of air) to get around. The final chapter of How Science Works digs deep into the EARTH, offering an inside scoop on plate tectonics, earthquakes, volcanoes, oceans, the atmosphere, climate, and the greenhouse gas effect. 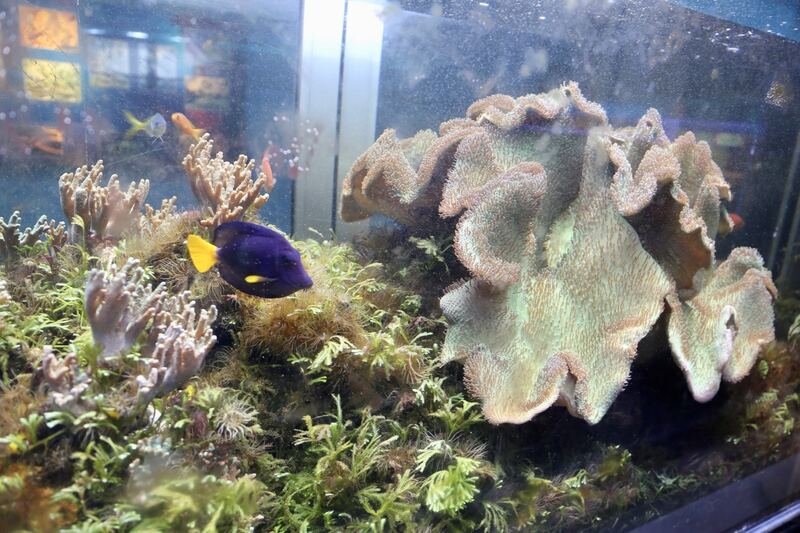 At the Ontario Science Centre’s exhibit dedicated to all things earthly, visitors can sit in a petite theatre to learn about ocean ecosystems as well as the effect low and high tide have on our oceans. While How Science Works is a perfect read for adults looking to brush up on their STEM skills, DK Publishing offers a slew of educational and fun science-oriented books for all ages. If you’ve got budding scientists currently studying at school consider gifting 100 Scientists Who Made History, Science Year by Year, or How to Be a Scientist. You never know, you may just be raising the next Einstein!